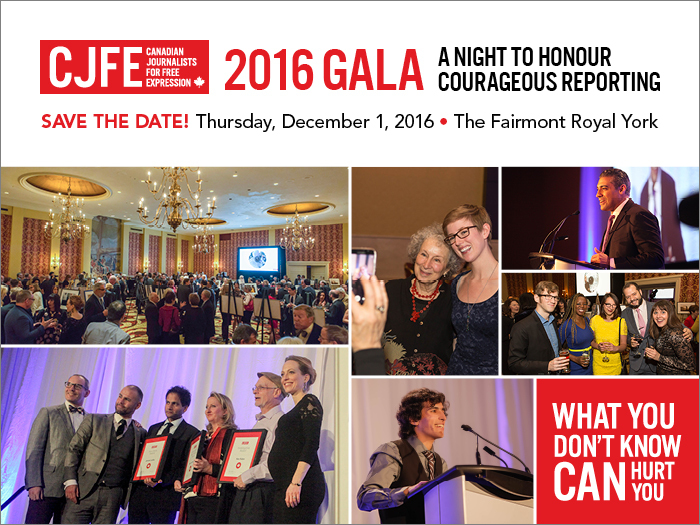 Join us at 19th annual CJFE Gala: A Night to Honour Courageous Reporting as we bring together Canada’s leading figures in media, business and academia for an evening to honour the courage and dedication of journalists and free expression advocates around the world. Today, I have the privilege of presenting my final report on the situation of human rights in the Islamic Republic of Iran. I would, therefore, like to take this opportunity not only to summarize the findings and recommendations presented in my report, but to also reflect on where we were when the mandate began in 2011, how far we have come, and the significant challenges to the full realization of human rights in the country that lie ahead. When I began my mandate a little over five years ago, the country was still embroiled in the developments following its 2009 presidential election, which led to thousands of arrests and convictions following unfair trials, and the death of peaceful protesters at the hands of security forces. Iran’s level of cooperation with the UN human rights mechanisms was also arguably at an all-time low. The UN special procedures had been prevented from visiting the country for six years despite a standing invitation, and the Government had one of the lowest response rates to communications issued by the special procedures on a range of alarming human rights violations. Five years later, we can look to the Government’s record of cooperation with UN rights bodies and mechanisms and acknowledge some progress towards constructive engagement on this front. The Government has invited two mandate holders—the special rapporteurs on the right to food and on the negative impact of unilateral and coercive measures—to visit the country in the coming months. It has received, and accepted, hundreds of recommendations from Member States at the outcome of two cycles of the Universal Periodic Review, undergone reviews by three treaty bodies, and will submit to a review by a fourth treaty body in 2017. And the Government’s response rate to communications by UN special procedures, including mine, has generally increased over the past few years. Along with its improved record of cooperation with UN rights bodies, I have also observed some substantive developments, especially under President Hassan Rouhani’s tenure which began in 2013, that could lead to steps in the right direction. This includes the submission of a draft Citizen’s Rights Charter; the emergence of limited public dialogue on a handful of human rights issues, including the possibility of abolishing or dramatically reducing use of the death penalty for nonviolent drug crimes; and some executive and legislative measures taken by the parliament to improve rights protections. These are undoubtedly encouraging signs, but much more needs to be done. Though I applaud the Government’s increasing engagement with me, I note that my tenure will draw to a close without the authorities having allowed me into the country. And although two special procedures have been recently extended invitations, Iran has ignored repeated requests for country access from eight special procedures that have tried to visit since 2003. Perhaps more troubling, individuals in the country who have cooperated with my mandate continue to be the targets of government reprisals. I have also observed some positive steps on the ground including legal reforms that strengthen protections for the rights of the accused. But these developments have not yielded sufficient and sustainable improvements in the country’s human rights situation. This is, in part, because there is a notable gap between the law and state sanctioned practices that violate fundamental rights. More specifically, these new laws provide little relief in the absence of proper implementation and enforcement by the executive and judicial branches of government. These failures mean that, today, Iranians continue to suffer from serious and egregious human rights violations that warrant ongoing and close scrutiny by UN human rights mechanisms. Much of the challenge to addressing the troubling state of human rights in Iran today is also due to a deeply flawed justice system that systematically obstructs the rights of defendants to fair trials and is in serious need of reform. I continue to receive frequent and alarming reports about the use of prolonged solitary and incommunicado confinement, lack of access to lawyers, and the use of confessions solicited under torture as evidence in trials. Denial of access to proper and necessary medical treatment for detainees also remains a significant problem, including for political prisoners. National laws and practices continue to severely restrict the rights to freedom of expression, association, and peaceful assembly in Iran. Individuals continue to provide reports detailing arbitrary detention for the legitimate exercise of these rights. Journalists, writers, social media activists, and human rights defenders continued to be interrogated and arrested by government agencies during the first half of 2016. At least 14 journalists and 15 bloggers and social media activists were reportedly either in detention or sentenced for their peaceful activities as of July 2016, and reports suggest that many others are subjected to interrogations, surveillance and other forms of harassment and intimidation. Social media websites such as Facebook and Twitter remain illegal except for governmental officials, and hundreds of websites dedicated to the arts, social issues, and the news remain blocked. On 18 May 2016, the lawyer of prominent rights defender Narges Mohammadi announced that his client was convicted and sentenced to 16 years’ imprisonment because of her membership in a group that advocates for the abolition of the death penalty. 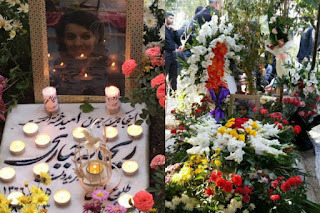 She was also sentenced to five years for “assembly and collusion against national security,” and one year for “propaganda against the state.” On 28 September 2016, an appellate court upheld her 16 year prison sentence despite a joint call by me and several other UN experts in May 2016 for the Government to immediately and unconditionally release Ms. Mohammadi. The right to life is still under heavy assault in Iran today. Iran continues to execute more individuals per capita than any other country in the world. Human rights organisations estimate that between 966 and 1,054 executions took place in 2015, the highest rate in over 20 years. And at least 420 executions were reportedly carried out between January and October 2016. This is significantly lower than the number of executions carried out by the authorities by this time in 2015, but nonetheless alarming. The high rate of executions prompted the UN High Commissioner for Human Rights, Zeid Ra’ad Al Hussein, to issue two public statements in April and August of this year, appealing to the Government to institute a moratorium on the use of the death penalty and to end unlawful executions, especially for juvenile offenders. He also “deplored the execution of 20 people” following unfair trials in which the defendants were convicted of violating “overly broad and vague” terrorism-related offenses. I have also received disturbing reports that at least two stoning sentences had been issued to women convicted for the crime of adultery during or around the reporting period. In its response to my report, the Government affirmed the sentences and defended the practice, but informed me that these sentences have, or will be, converted to other forms of punishment, possibly death by hanging. Laws, policies, and practices that discriminate against Iranian women and girls continue to institutionalize their second class status, and draft legislation currently under consideration or recently adopted by the Parliament presents additional barriers to women’s participation in the economy and to their safety. Iran ranks at the bottom of countries within its own income group for women’s economic participation and political empowerment. The country also remains in the bottom 5th percentile of 142 countries in overall equality for women. Earlier this year, the Committee on the Rights of the Child expressed serious concern “that despite its previous recommendations, the age of majority remains set at pre-defined ages of puberty for girls at 9 and for boys at 15 lunar years, which results in depriving girls and boys above these ages from the protection under the Convention.” The Committee also expressed concern that the age of marriage, which is set at 13 years for girls and 15 years for boys “gravely violates rights under the Convention and places children, in particular girls, at risk of forced, early and temporary marriages with irreversible consequences on their physical and mental health and development.” According to an official government website, more than 37,000 marriages involving individuals under 15 years were registered in the last year, and I would like to note that many marriages are never recorded in the country, especially in more remote areas. Religious and ethnic minorities in Iran continue to face serious human rights abuses. Over the last five years, I have received numerous reports of arbitrary arrest, detention and prosecution of adherents of recognized and unrecognized faiths alike for the peaceful manifestation of their beliefs, in addition to frequent reports about measures that exclude religious and ethnic minorities from legal protections for civil, political, social or economic rights. Christian minorities from Muslim backgrounds, and Muslim minorities such as the Nematollahi Gonabadi, feature prominently as groups targeted by these abuses. Moreover, the Bahai community continue to face arbitrary arrests, detentions and prosecutions. At least 72 Baha’is were reportedly detained as of 8 June 2016 in connection with the peaceful exercise of their faith. Authorities also continue to pursue activities that economically deprive Baha’i’s of their right to work, allegedly in line with a 1991 directive issued by the Supreme Council of the Cultural Revolution. On 8 June 2016, I issued a joint statement with the Special Rapporteur on freedom of religion and belief strongly condemning a wave of government-sanctioned, or tolerated, incitement and hatred targeting members of the Baha’i faith. Unfortunately, the Government continues to use disparaging and derogatory language, including in its response to my most recent report, in reference to the country’s Baha’i community. As my tenure draws to a close, I wish to stress the important role that this mandate and other UN rights mechanisms have played in promoting much needed dialogue and engagement with authorities on the pressing issues that I have laid out in my presentation today. And although I wish to stress that many obstacles remain, I believe that the Council’s investment in this mandate, and the close attention paid to the country situation by the international community, have yielded positive potential. This potential is evidenced by the constructive steps taken by the government to address some human rights concerns raised by the international community over the years, and the proliferation of bilateral human rights dialogues between Iran and some member states in this room since the implementation of the nuclear agreement. While not a substitute to monitoring mechanisms established by the UN human rights system, these measures can complement and bolster the push towards the full realization of human rights in Iran. I encourage the international community to continue to find effective and creative ways to engage with Iran on human rights as they seek to broaden their political, economic and cultural relationships with the Government. Increasing engagement with the Iranian government and continued focus on its human rights record are not, and need not, be mutually exclusive realities. As I have said before, Iran’s reengagement with the world provides a golden opportunity not only to reach out to world leaders, but also international businesses seeking to invest in Iran, to do their part in ensuring respect for human rights in the country. But such engagement, must not proceed at the expense of clear, strong and public support for better human rights protection, without which there are no real long term dividends.
" About Ten Minutes From Zahedan , The Centre Of Baluchistan And Sistan Province , We Have 250,000 People Who Live In Condition and Standard Of 100 Years Ago. " 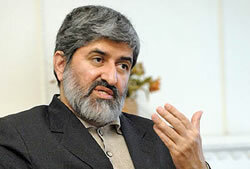 The minister also said that; Iran's system of planning, programs and budgetary is of 40 years ago. 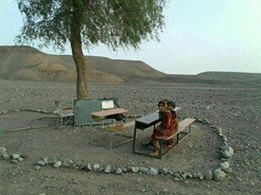 A census which was take on 2006 indicate that, out of 2,350 ,000 population in Baluchistan and Sistan , more than 640,000 are illiterate .
" We Have a village in Baluchistan and Sistan where all the men of the village are hanged "
According to Digarban news , Ali Motahari the deputy to the parliamentary speaker said ; some of the security agents still believe in using chain murdering to scare the political and civil rights activists . Mr. Motahari said; during the reformists Government some security agents believed in order to protect the system from the danger , they have gone after the intellectuals and created stories that everyone knows now. He means, the murder of some intellectuals and writers during the Government of president Khatami by some of the boss in the ministry of intelligence which became known as " The Chain Murdering " . According to news coming from Iran via HRANA, Mr. Reza ( Robin ) Shahini an Iranian -American is sentenced to 18 years imprisonment . He is charged with breaching national security. 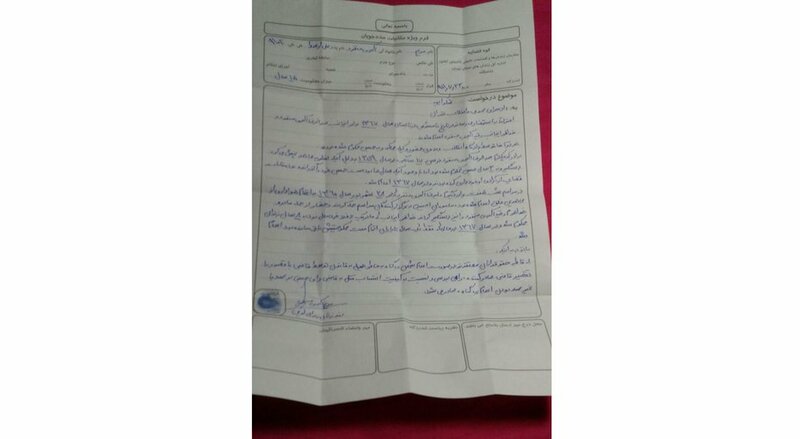 He is arrested by agents from Sepah Pasdaran in the city of Gorgan . 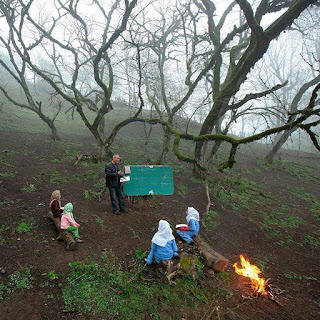 Mr. Shahini travelled to Iran to visit his family members in the city of Gorgan , a city in Golestan province. Reza Shahini is 46 years old and is charged with; acting against national security , collaborating with enemy countries and relationship with members of counter revolutionaries. Mr. Shahini announced that he would start his hunger strike against this decision / ruling. IRAN WATCH CANADA: The world humanity is suffering from injustices , war crimes and migration of millions of people from their homeland , they face something that is unbearable . The world lack an international body to make strong decision and stand strongly against all violators whether it is internal or external Governments. UN and its various agencies must act now . The situation of the world is getting out of hand and if UN don't act now it might become late and the humanity will face another international conflict . 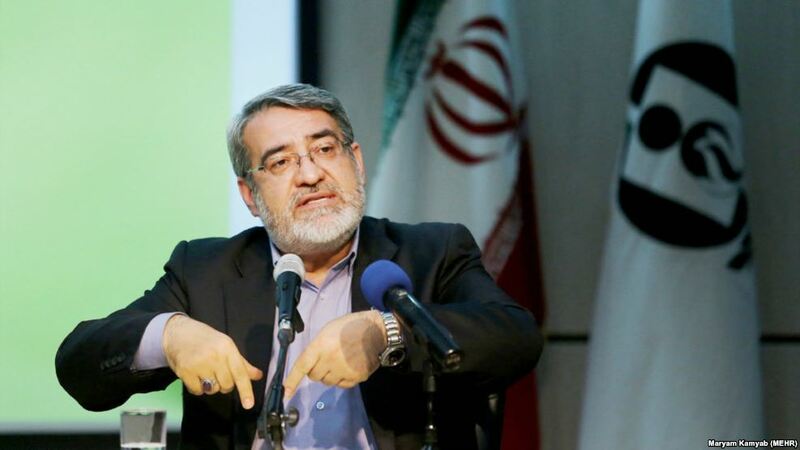 According to news coming from Iran , Mustafa Pourmohammadi the judiciary minister have said : " The Government with regard to the dual citizens has ordered that, these people should not be hired or hold other positions in the Government . " Clergy Pourmohammadi said: "All managers must strictly follow this order " . Mr. Hossein Naghavi Hosseini the spokesperson of the commission on national security of the parliament said: The dual citizens are suitable for " US penetration project ." Maryam Akbari Monfared Was arrested on the holly Moslem Month of Ashura -during Iranian green movement protest in 2009 . 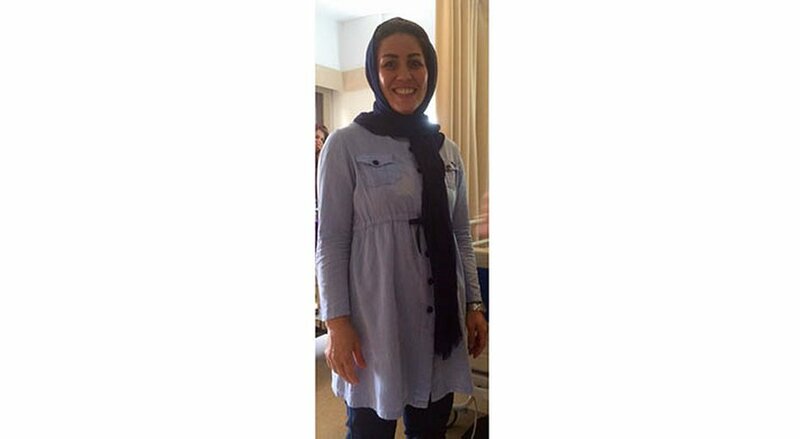 She was sentenced by Judge Salavati to 15 years imprisonment. She has served 7 years out of her sentences . Her older brother Reza Akbari Monfared who is 63 years old is also sentenced to 17 years imprisonment and now is in Rejaei Shahr prison. 1- Her younger brother Abdolreza Akbari Monfared was arrested on 1980 when he was only 17 years old for charges of having a Mojahed publication. 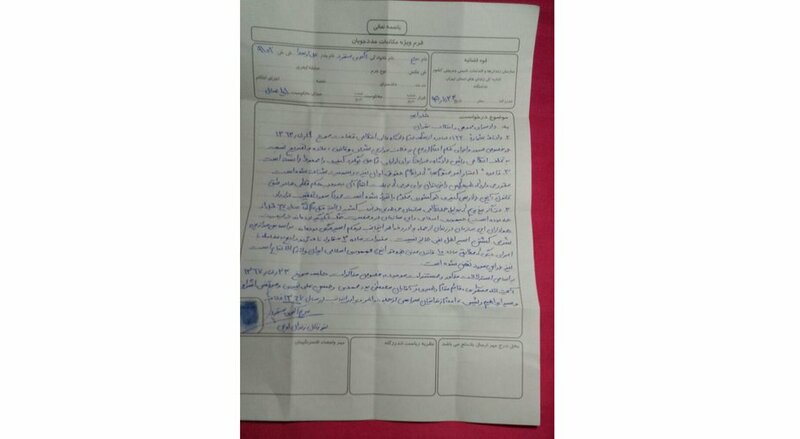 For this charges he was sentenced to three years imprisonment and was transferred to Gohar Dasht prison in Rejaei Shahr . He was executed during the 1987-88 mass political prisoners killing. 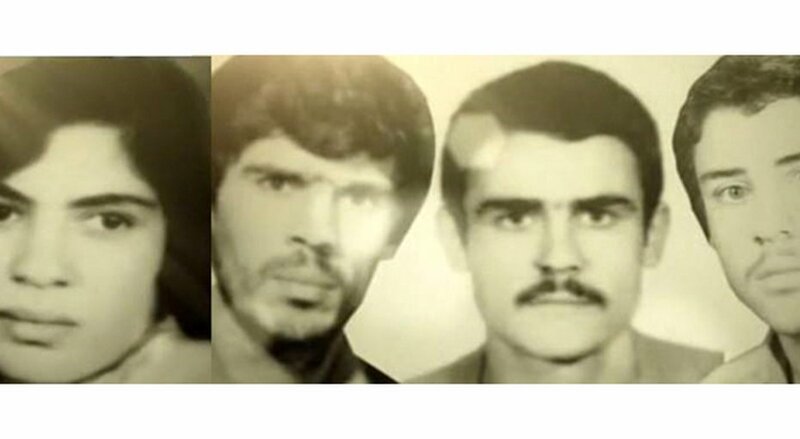 2- Gholamreza Akbari Monfared is her another brother who was arrested on 1983 and was executed two years later . 3- Alireza Akbari Monfared her third brother was also arrested on 1981 and was also executed same year in prison. 4- After the execution of Alireza and on a memorial night for him , her sister Rogheieh Akbari Monfared and her mother together with family and friends who were mourning were arrested and her mom was released after serving five months jail but her sister who was sentenced to 8 years imprisonment was executed during the mass political prisoners execution. 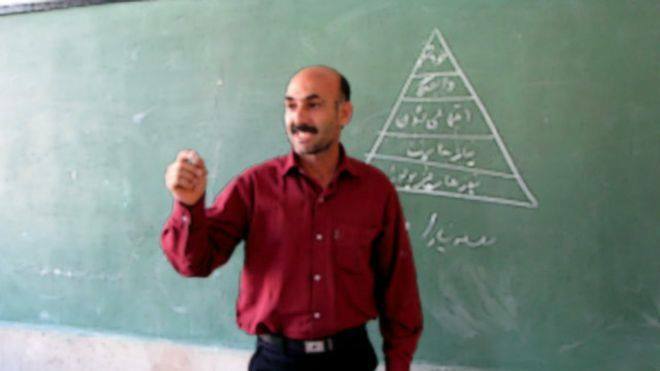 5- Her father Ali Osat Akbari Monfared died 11years ago after suffering of so much of pain from not being able to see his other son and daughter who were at the time in Camp Ashraf ( Mojahedin's Camp in Iraq ) and now in Albania . In her letter from prison she added ,why she have decided now after spending seven years in prison to write the letter and demand for justice about the execution of her brothers and sisters . 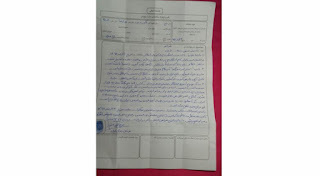 She wrote : Now that i am writing this letter don't know what would be my destiny , but despite of knowing the consequences , i demand justice for all those political prisoners killed during the mass execution including my brother and sister. 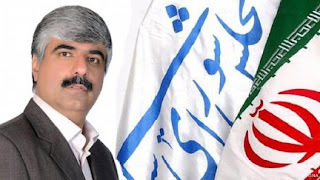 According to ISNA , Doctor Esfandiyar Ekhtiyari representative of the Iranian Zoroastrian in the Islamic regime parliament have strongly protested to Isfahan city Friday prayer Imam . MP Esfandiyar Ekhtiyari demanded from Isfahan Friday prayer Imam to respect the people's divine faith and their religion. MP Ekhtiyari said : " Unfortunately on Oct. 14 in Isfahan Friday prayer , on a strange reason , you have called the heroic and honourable Zoroastrian Iranian citizens unfairly as people who believe in dual gods . He added that: "The Zoroastrian always have believed in one God." Clergy yousef Tabatabainejad, Isfahan Friday prayer Imam on October 14 Friday prayer have said: The Zoroastrian believe in two Gods , the Evil/ satanic God and the God of Good . MP Ekhtiyari have demanded from members of the assembly of expert to respect people's belief and faith and not to spread or cause division among people with their speeches . Islamic clergies have always called the Zoroastrians as " Fire Worshipers ". 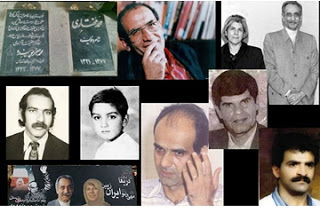 News by the Campaign to Defend Civil and Political Prisoners in Iran. Two years ago , a young girl Reyhaneh Jabari was hanged to death because of protecting herself from a sexual predator, a doctor who was member of the ministry of intelligence ,who planned and then brought Reyhaneh Jabbari to one of his office to help do the interior designing . While their , he tried to sexually assault her, when during this assault the sexual assailant died , and because of his death Reyhaneh was sentenced to death by hanging ( sharia law known as " ghesas "). On her memorial day , Reyhaneh's mom , Mrs. Sholeh Pakravan and relatives and friends including several human rights advocates gathered at her grave site to mourn, but the agents attacked at their gathering and asked everyone to leave or else will be arrested . And they did arrest some of the activists including Reyhaneh's mom Mrs. Sholeh Pakravan but were all released later. 12. In its response to the present report, the Government again maintains that drug trafficking is a serious offence that requires the use of the death penalty under certain circumstances (which it claims has a “[highly] deterrent effect”) and rejects the adoption of a moratorium on the death penalty. The Government also confirms that there was a “more than 50 per cent decrease in implementation of capital punishment during the first six months of 2016” and maintains that “no information has been received, from any international authorities, regarding non-observance of legal standards” with respect to individuals sentenced to death for drug-related crimes. The Special Rapporteur joins the Secretary-General, the Human Rights Committee and other special procedure mandate holders in their ongoing calls for the Government to reconsider its use of capital punishment. 16. In December 2015, 70 members of parliament presented a bill that, if approved by the legislature and the Guardian Council, would reduce the punishment for non-violent drug-related crimes from death to life imprisonment. 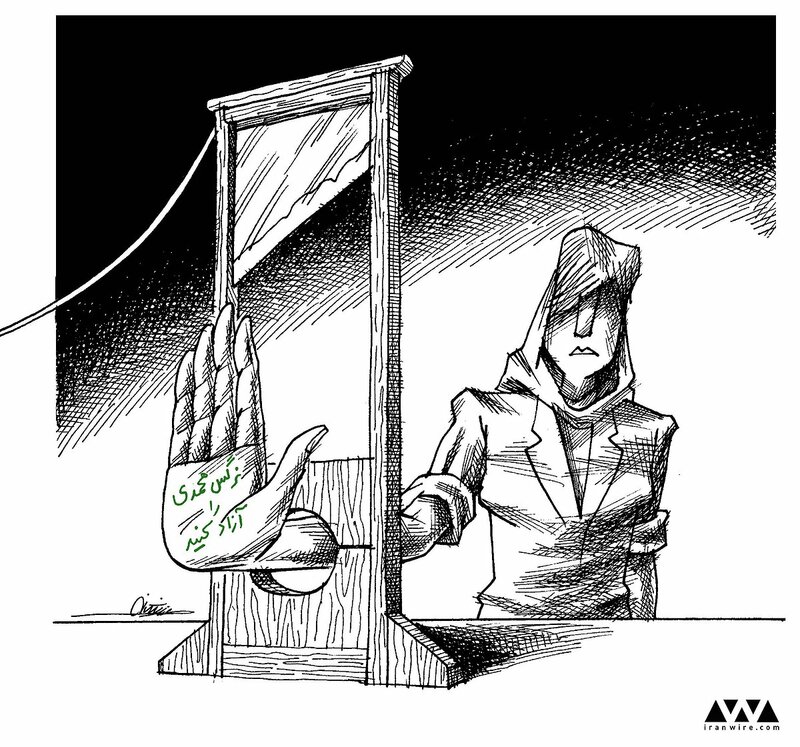 On 11 January 2016, the bill was introduced on the main floor of the parliament for review.15 It is not known whether the apparent drop in the number of executions during the first six months of 2016 is directly related to the Government’s increasing sensitivity to drug-related executions or the result of newly implemented and pending legislation. 9 See www.darsiahkal.ir/64601/64601 (in Persian). 11 See www.rrk.ir/Laws/ShowLaw.aspx?Code=8008 (in Persian). 13 See https://hra-news.org/fa/execution/a-4759 (in Persian). 15 See www.farsnews.com/13941021000764 (in Persian). 17. 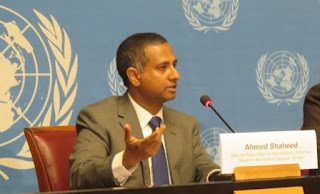 The Special Rapporteur notes with great concern that under articles 146 and 147 of the Islamic Penal Code, the Islamic Republic of Iran retains the death penalty for boys of at least 15 lunar years of age and girls of at least 9 lunar years. 18. 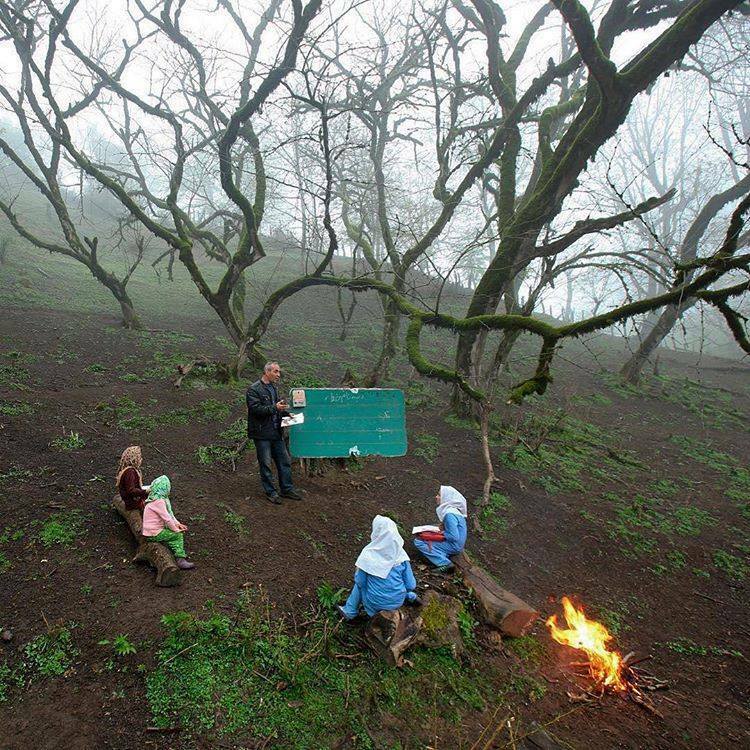 On 12 January 2016, the Committee on the Rights of the Child concluded its review of the implementation by the Islamic Republic of Iran of the Convention on the Rights of the Child. In its concluding observations (CRC/C/IRN/CO/3-4), the Committee expressed great concern about the ongoing execution of juveniles and called on the Government to withdraw reservations that sanction judicial disregard of provisions of the Convention. They also called on the Government to define juveniles as anyone under the age of 18, in line with Convention standards, and to raise the age of criminal responsibility for girls so that there is no discrimination between boys and girls. In its response, the Government continues to defend its use of a general reservation to the Convention based on its “religious teachings and culture”. 20. The Special Rapporteur notes with great concern that, notwithstanding these reforms, the number of executions of juvenile offenders has actually increased during the past few years. He also continues to receive reports maintaining that some juvenile offenders have been denied the right to appellate review, that the Supreme Court has rejected several petitions for retrial and that it confirmed the death sentences of at least six juvenile offenders.17 The Special Rapporteur has also received reports suggesting that the criteria used by courts to assess mental capacity vary widely and are inconsistently applied throughout the country.18 The Government rejects this allegation, and in its response asserts that amendments to the Islamic Penal Code have resulted in a reduction in the number of juvenile executions this year. 21. At least one confirmed execution of a juvenile had reportedly been carried out as of the date of drafting of the present report and four juvenile executions took place in 2015.19 At least 73 juvenile offenders were reportedly executed between 2005 and 2015 and some 160 others were reportedly awaiting execution as of January 2016.20 In its response, the Government notes that in all cases of retributive justice for juvenile offenders, its fundamental policy is to encourage reconciliation between the perpetrators’ and victims’ families in lieu of the death penalty. It also notes that executions of juvenile offenders are not carried out until the perpetrators reach 18 years of age. 16 See www.rrk.ir/Laws/ShowLaw.aspx?Code=2460 (in Persian). 23. In its response, the Government rejects the notion that amputations and floggings amount to torture and maintains that they are effective deterrents to criminal activity. It also reports that 4,332 complaints alleging rights violations were submitted in the past four years, including torture and ill-treatment, and that “only a small percentage” warranted action. No specific information is provided regarding prosecutions and/or convictions of individuals alleged to be involved in the torture or ill-treatment of detainees. 25. Some 17 miners in Azarbayjan-e Gharbi province were reportedly flogged for protesting against the firing of hundreds of colleagues pursuant to two court rulings in Takab sentencing the miners to between 30 and 100 lashes.25 In its response, the Government maintains that the workers were flogged as the result of a lawsuit filed by the mining company, which accused the workers of blocking the entrance to the mine, insulting or threatening the mine’s guard and resorting to violence, not because the workers had exercised their rights to association or assembly. The Government also reports that nine individuals received between 30 and 50 lashes as punishment for their crimes. 26. In May 2016, the mother of journalist Afarin Chitsaz, who was arrested and accused of colluding with foreign Governments, announced that interrogators had blindfolded and beaten her daughter to coerce a confession.26 Security officials arrested Ms. Chitsaz, along with several colleagues, on 2 November 2015 and detained her incommunicado for more than a month. In its response, the Government notes that the courts sentenced Ms. Chitsaz to two years’ imprisonment and a two-year ban on journalistic activities upon release. 21 Articles 217-288 of the Islamic Penal Code. 22 See hra-news.org/fa/uncategorized/a-5594 (in Persian). 23 See, e.g., www.isna.ir/news/95030703729 (in Persian). 24 Ibid. 25 See www.ilna.ir (in Persian). The Secretary-General has the honour to transmit to the General Assembly the report of the Special Rapporteur on the situation of human rights in the Islamic Republic of Iran, Ahmed Shaheed, submitted in accordance with Human Rights Council resolution 31/19. The Special Rapporteur submits the present report, his sixth to the General Assembly, pursuant to Human Rights Council resolution 31/19. In his report the Special Rapporteur primarily presents information gathered from government sources and relayed by alleged victims of rights violations as well as civil society actors located inside and outside the country. 1. Since 2011 the Special Rapporteur has observed several developments that could lead to positive changes in the human rights situation in the Islamic Republic of Iran. These include the publication of a draft charter of citizens’ rights; the emergence of a limited public dialogue on a handful of human rights issues, including the use of the death penalty for non-violent drug crimes; the implementation of the Joint Comprehensive Plan of Action; and legislative steps taken by the parliament to improve the protection of certain rights. 2. Most of these developments have not, however, yielded tangible or sufficient improvements in the country’s human rights situation, for reasons that will be further discussed below. Specifically, there is a notable gap between the law and State-sanctioned practices that violate fundamental rights. While recent legislative efforts to strengthen protections for the rights of the accused are noteworthy, they offer little relief in the absence of proper implementation and enforcement by the executive and judicial branches of Government. 3. Information gathered from government sources and civil society actors continues to highlight the arbitrary detention and prosecution of individuals for their legitimate exercise of myriad rights, as well as the use of torture and other forms of cruel, inhuman or degrading treatment, following the enactment of these legal improvements. 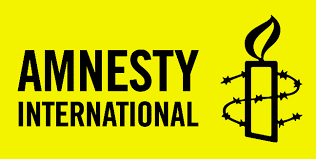 Human rights defenders continue to face intimidation, censure and retribution for their contact with the United Nations human rights mechanisms and international human rights organizations, and those alleged to have abused their authority continue to enjoy impunity. Other legislation, including the country’s anti-narcotics laws, which have not yet been amended, continue to violate the right to life. 5. A total of 23 communications concerning pressing developments or emerging issues detailed in the present report and/or appealing for remedy were transmitted by the Special Rapporteur to the Government from January to mid-August 2016. Of these, 22 were urgent actions and 1 was an allegation letter joined by several thematic mandate holders. The Government responded to 7, reducing its rate of reply from 38 per cent in 2015 to 30 per cent during the reporting period. The Government also continues to respond, at length, to the Special Rapporteur’s reports, including the current one. 6. The present report contains primarily information gathered from government sources and relayed by alleged victims of rights violations, as well as civil society actors located inside and outside the country. This includes information gathered from government responses to communications transmitted jointly by special procedure mandate holders during the first seven months of 2016; information gathered from various websites maintained by branches and agencies of the Government; information published or submitted by non-governmental organizations located inside the Islamic Republic of Iran; laws and draft legislation; details presented in national stakeholder reports submitted by officials for the universal periodic review exercise in 2014; and information gleaned from statements published either by national media sources or by individual government officials. 7. The Special Rapporteur also relays information gathered from 43 interviews conducted during fact-finding visits to Stockholm, Berlin and Munich, Germany, and Turin, Italy, in May 2016. Information from additional interviews was collected via telephone, Skype and other messenger services during the reporting period from individuals located inside and outside the country. 8. On 26 November 2013, President Hassan Rouhani, highlighting his campaign promise to improve the protection of human rights, released a draft charter of citizens’ rights that addresses a range of civil and political rights guaranteed by Iranian law. Since its publication, however, no significant steps have been taken to either finalize or implement the charter’s provisions. The Government notes that it expects the charter to be finalized by “the end of the current year”. While applauding the effort, the Special Rapporteur notes that many of the charter’s provisions fail to sufficiently protect fundamental rights, including the rights to freedom of expression, association and assembly. 9. The Government accepted 189 of the 291 recommendations that were the outcome of its universal periodic review in 2014, asserting that the majority of the recommendations had already been implemented, including the recommendation to strengthen its domestic legal framework and implement its international human rights obligations. Despite these commitments and the country’s legal obligations, the state of protections for the majority of rights guaranteed by the five human rights instruments to which the Islamic Republic of Iran is a party remains largely unchanged. 11. Human rights organizations estimate that despite these appeals, between 966 and 1,054 executions took place in 2015, the highest number in over 20 years.5 Between 2416 and 2537 executions were reportedly carried out from January to the end of the third week of July 2016. This number is significantly lower than the number of executions carried out during the same period in 2015. In the light of the repeated concerns expressed by the Special Rapporteur and other human rights bodies and organizations, any decrease in the number of executions is a positive development. However, reports received by the Special Rapporteur suggest that the number of executions in the Islamic Republic of Iran increased again in July 2016, when human rights organizations documented at least 40 executions carried out during the first three weeks of that month (see figures I-III).8 As in previous years, the majority of the executions in 2015 and 2016 were for drug-related offences. According to news , while the Majles ( Parliament ) was reviewing the new labour law presented by the Government to the parliament , the Iranian workers organized by Free Labour Union today gathered in front of the parliament in Tehran and protested against this new legislation up until 12:00 noon . The Workers sent three representatives to the parliament to discuss their side of the story with the MP's . Ms. Parvin Mohammadi including Ms. Ashraf Banaei and Ms. nahid Khodajoo told to the commission on Social committee that, the workers won't agree with this new legislation. The workers want their wage be increased. The workers demanded solution to their situation . Students Received Lashes Because Their Parents Didn't Have Money To Pay To the School !!!???? Iranian Student's testimonies on lashing because their parents didn't have money to pay to the school . 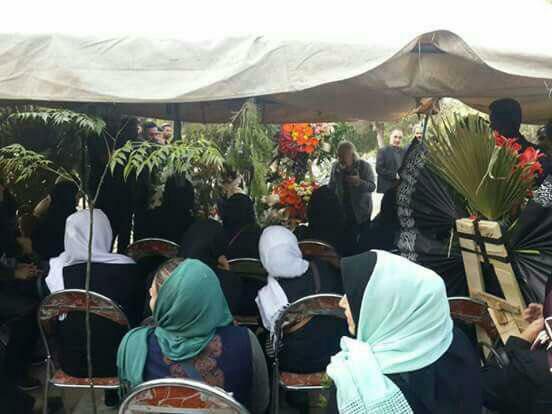 Because these students didn't have 30,000 Tuman Iranian money to pay to the school the principal charged them with lashes...some of these kids received up to 8 lashes. This horrendous event happened in Shaheed Chamran school in Mukhtar-abad of the Roudbar city -south of Kerman province. 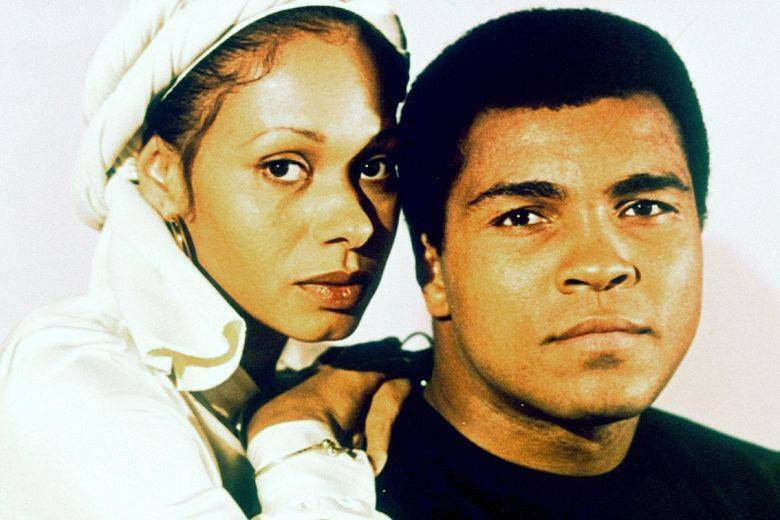 “I would like to request that your Excellency show Islamic mercy towards these two individuals who are pure-hearted citizens of our world and allow these Muslims to be reunited with their family in this holy month,” wrote Lonnie Ali in a letter to Iran’s Supreme Leader Ayatollah Ali Khamenei. 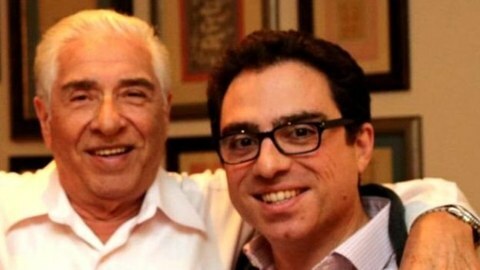 Iranian-American dual nationals Siamak Namazi and his father Bagher have been held on security charges and are awaiting sentencing. A Father's Plea From Prison To His Daughter : My Dear Daughter, always love your country more than me. “The Australian authorities should come to the same conclusion, shut down the so-called processing centre on the island, and make a better use of taxpayers’ money by recognizing that every asylum-seeker and refugee on Nauru has the right to come to Australia immediately. These people cannot wait a moment longer for a humane solution,” said Anna Neistat. Asylum-seekers and refugees, by contrast, have been arbitrarily arrested and imprisoned. As one service provider told Amnesty International: “Arbitrary arrests as a form of intimidation are common on Nauru.” Hamid Reza Nadaf, an Iranian refugee with a young son, said he was arrested and jailed between 3 June and 7 September 2016, on the basis of evidence that was clearly fabricated. “Allowing people’s mental health to deteriorate without any adequate treatment appears to be a deliberate part of the government of Australia’s deterrence policy,” said Anna Neistat.